So what is a Media Coach anyway? A couple of months ago I met a fabulous woman! I mean not just fabulous, but really, really cool and smart too! 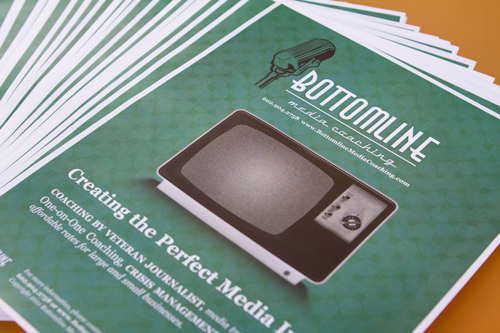 Jodie Heisner, of BottomLine Media Coaching, is amazing! After I heard her heart I basically begged her to share her knowledge with you! She’s full of information and I knew you’d love to hear it! Make sure to read to the end for a sweet little offering that Jodie is offering to The Savvy Socialista readers only! When Jami asked me to write this blog I was more than happy to, because so many people have A.) Never heard of a media coach or B.) Think a media coach only offers one service. I saw some common mistakes being made by business people and professionals wanting to get exposure in the media. I knew I could guide them through the process, which can sometimes be overwhelming and intimidating. As a Media Coach I help you to best represent yourself and your business. Media Appearance Training: Making sure you are ready for all types of interviews. I make sure my clients know what to wear, what to say, what not to say and how to present themselves so they get called back time and time again. Pitching The Media: Not sure how to begin to approach the media with a story idea, but not ready to hire a pricy Public Relations agency? I can help you learn how to write a story pitch, who to pitch to, how and when to follow-up. Website Video Preparation: So many people are doing website videos now, but the truth is very few are doing it well. This is your first introduction to your new clients/customers. I help you craft a message people will want to listen to and train you to appear calm and confident. That’s just a taste of what I do. I typically like to talk to you to determine your long term and short term goals as well as your budget, so I can create a media coaching package that best fits your needs. Many people fear doing media interviews at all because of one thing, the camera. If this is you here are some tricks to help you look comfortable, even when you’re not! 1. SMILE! Sounds simple, but it is the number one thing you can do to make yourself appear more comfortable, likeable, approachable and even more attractive. If the topic is very serious, only smile during the introduction and close of the segment. If it is less serious, I suggest you practice keeping a half smile on your face throughout. This is a trick that works in real life too. If you are a first time host or doing your own web video, then you have to look at the camera, but not necessarily right into the lens. The lens can be intimidating for some, so look just above it or imagine looking through it and talking to the photographer behind the camera. This will help you appear more natural. 3. Use your hands. We speak with our hands in real life, so why wouldn’t you when you are on camera, in an interview or in front of an audience. Pinning your hands to your sides makes you appear robotic and unnatural. Of course, there is the other extreme as well, the stereotype of the Italian mother whose hands move so much you need to duck when she starts speaking, yeah we don’t want that either. A good general rule is to move your hands, but keep them between your shoulders and not above your eyes as you speak. 4. Breathe. For many people nerves can lead to issues with catching your breath, which can also lead to a shaky voice. This is a tip I learned as a child during singing lessons. (As an adult I am an awful singer, but at least I have this take away.) Just before your segment begins take a deep breath in your nose and out your mouth. Then take one more deep breath in filling your lungs and release it as you speak. This will give you plenty of breath to speak with, allowing you to breathe naturally going forward. 5. You are what you wear.Wear something that makes you feel good. Wearing something you aren’t comfortable with, even if everyone else tells you look great, will take away from your confidence level. Click here to read more about What to Wear. Wow! GREAT info from Jodie Heisner! Hopefully this helps many of you out as Jodie really is an expert! 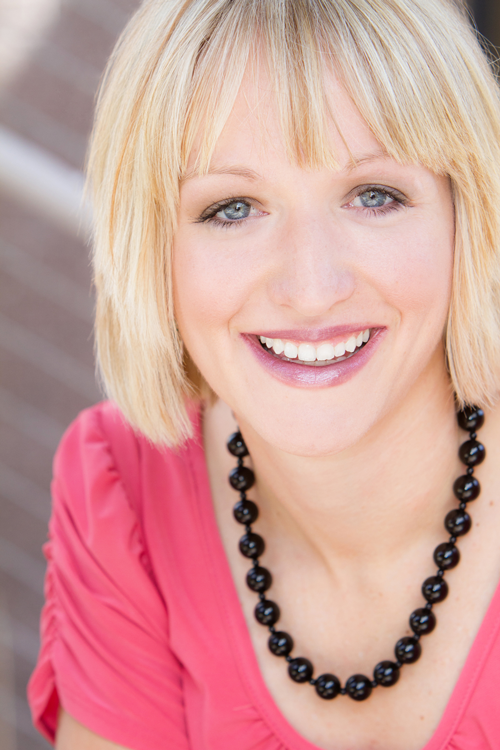 Are you feeling like you’re really like to meet with Jodie Heisner? She has so graciously offered The Savvy Socialista readers a FREE interview style critique! Email Jodie Heisner at Jodie.Heisner@BottomLineMediaCoaching.com and mention The Savvy Socialista and she will chat with you for FREE! What do you think? Was this helpful information? Chat back and let me know! I can’t wait to hear from you!